From national industry leaders and Dallas-Fort Worth’s largest companies to start-ups and growing enterprises, Cooper Smith Agency provides public relations, social media and product placement services to a wide variety of businesses, largely within the business-to-business and professional services industries, with a particular emphasis on AEC and real estate firms, as well as for many of America’s best-known building products brands. 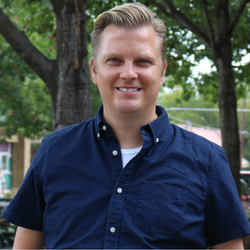 Cooper Smith Koch is the principal of Cooper Smith Agency, the successful Dallas public relations firm he founded in 2002. Through his work at Cooper Smith Agency and in the years prior to his PR agency’s start, Cooper has provided media and community relations services to a number of high-profile companies and organizations, including the United Way of Metropolitan Dallas, Ben E. Keith Co., Southwest Airlines, Dal-Tile Corporation, Turner Construction Co., Cirque du Soleil, American Cancer Society and Citigroup. In 2011, Cooper was recognized as a Dallas Business Journal’s “Top 40 Under Forty” honoree, which is given once a year to executives and entrepreneurs who are at the top of their game professionally, and personally and have demonstrated a commitment to the North Texas community. Cooper is a proud alumnus of Southern Methodist University, where he earned an undergraduate degree in public relations and corporate communications. His unquenchable curiosity about the world around him led Cooper to also study German, Spanish and anthropology while at SMU. In 2005, Cooper was honored by SMU’s Division of Corporate Communications & Public Affairs as the year’s “Rising Star,” an award recognizing outstanding young alumni of the university. 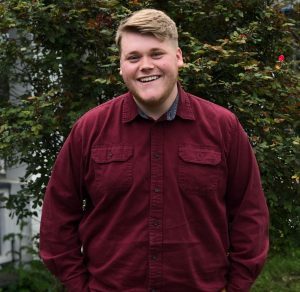 An active member in the community, Cooper supports a number of non-profit organizations, including AIDS Arms, Human Rights Campaign and the SMU Alumni Association. Cooper sits on the advisory board to the public relations program at SMU, on the Governing Committee for the DFW Federal Club, and on the Board of Directors for Texas Ballet Theater. He has previously served on the board of SMU’s Young Alumni Associates. Cooper is also an ardent fan and supporter of the visual and performing arts, oftentimes offering his PR agency’s resources in support of local artists and performance groups. Born and bred an East-coaster, Arden left the Big Apple for Dallas to be closer to her husband and family, as well as football games at her alma mater Texas Christian University. Go Frogs! Arden, our Managing Director, joined Cooper Smith Agency after working at Hundred Stories PR, a boutique public relations agency in New York City that specializes in real estate. At Hundred Stories PR, her clients included top developers, brokerage firms and fully integrated companies that own, operate and develop premier residential and commercial real estate. Specifically, Arden worked with Elad Group, the developer of The Plaza Hotel, Taconic Investment Partners, Stonehenge Partners and Houlihan Lawrence, to name a few. Prior to joining HSPR, Arden worked in one of New York’s most prestigious financial and corporate communications firms, Joele Frank. During her time at Joele Frank, Arden assisted numerous fortune 500 companies with internal and external communications for crisis and special situations, including bankruptcy, proxy fights and mergers and acquisitions. Arden’s clients included Yahoo!, OfficeMax, Motorola Solutions, Barneys New York, Ralcorp, Martin Marietta, BMC Software and The Jones Group. Arden graduated from TCU with a degree in Public Relations and a minor in Business. 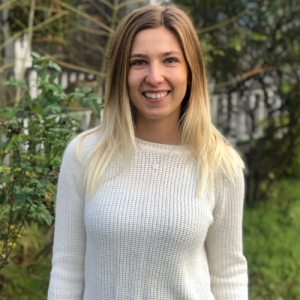 Since mastering her skill set as an Account Executive with Cooper Smith Agency and proving to be an invaluable member of the team, Alexandra has stepped into the role of Account Supervisor, where she utilizes her building materials product knowledge to help oversee several client accounts. 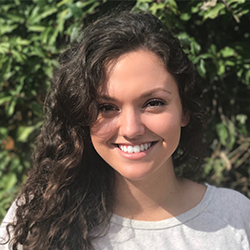 Prior to joining Cooper Smith Agency, Alexandra gained experience working on a variety of high-profile accounts including Frost Bank, General Motors, Fitbit and YouTube. Her responsibilities included securing media placements for her clients, community management and copywriting, to name a few. In her free time, Alexandra loves exploring the outdoors, watching endless hours of television (when she doesn’t have a great book in hand) and planning trips to faraway lands. Polish-born, this Dallas transplant loves learning about new cultures and is passionate about travel, yoga and nature. Paulina graduated with a bachelor’s degree in Strategic Communications and a minor in Marketing from the University of North Texas. As an account executive, she will use her creative mindset to make sure that your story will be heard. 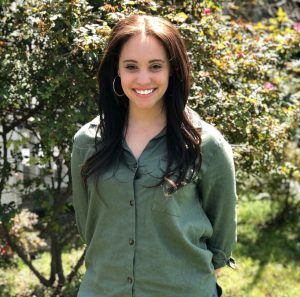 Previously, she worked as an account executive at bigInk PR, a public relations and marketing agency, where she had a chance to help restaurants in the metroplex area get the recognition that they deserve. After a year full of travels and adventures around the world, she is excited to be back in Dallas and work on new projects. As an Account Executive, Aubrey Schumacher gains client media exposure through innovative PR and communications initiatives. 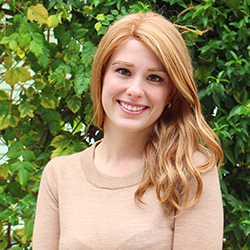 Born and raised in the Lone Star State, Aubrey is passionate about putting you in headlines to boost your business. Aubrey graduated from The University of Arkansas with a bachelor’s degree in advertising/public relations. Prior to joining Cooper Smith Agency, Aubrey fine-tuned his craft working for an extensive list of diverse clients ranging from local startups to Fortune 500 brands like J.B. Hunt Transportation. His responsibilities ranged from social media management, brand development and community relations campaigns. After a brief stint in Oklahoma City, Aubrey is very excited to be back in Dallas to take on new clients in his home state. When he isn’t at the office, you can find him in a kickboxing gym, reading at a coffee shop or listening to the latest true crime podcast. Kiara Mitchell was born and raised in the Dallas area, and discovered her passion for public relations through a sports marketing class in high school. After earning her bachelor’s degree in public relations from The University of Alabama, Kiara returned to the DFW metroplex where she got her start in the digital marketing sphere, managing social media accounts, websites and email marketing efforts for a multitude of companies. She has worked with a diverse set of clients, ranging from small local businesses to Fortune 500 brands like Best Buy and Facebook. Her background in digital and social media gives her a unique and modern approach to getting your clients noticed. Kiara is passionate about dance and fitness, and is a part-time instructor for a local dance company. During her time off, you can find her at an indoor cycling class or enjoying some live music around Dallas.